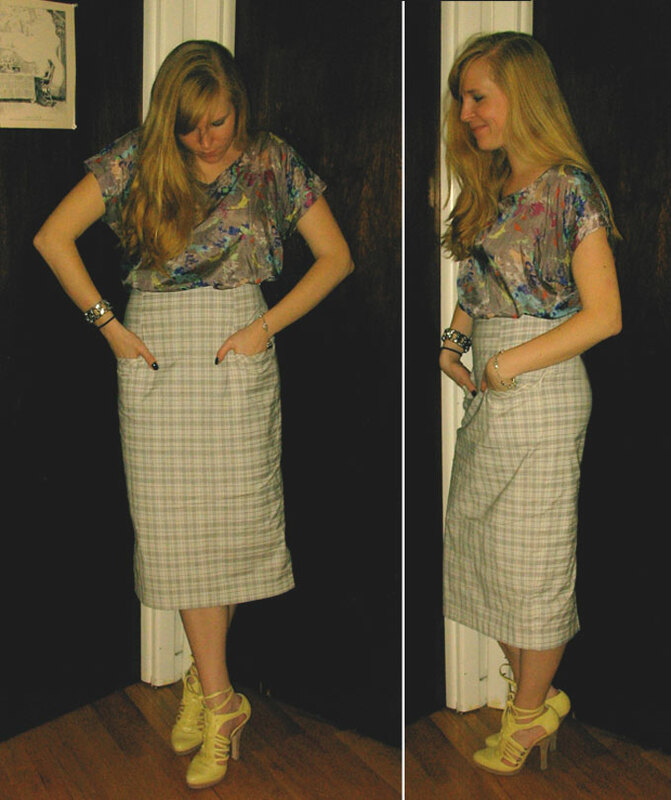 Forever 21 top, Chloë Sevigny for Opening Ceremony skirt, Phi heels. Tonight, I was fortunate enough to attend an event on behalf of StyledOn to preview Kenneth Cole's Spring 2011 collection. There were a lot of pretty incredible bloggers there, so many in fact that I didn't get a chance to schmooze with as many as I would have liked, but I did get to chat with Keiko Lynn, Arielle of Something Navy, Wendy of Nitrolicious, and other babes. The dinner spread was incredible, and the table was made of clear plexiglass filled with things from nature that represent Cole's inspiration for the Spring collection (Desert, Mountains, and Rain Forest). Unfortunately, I missed the fact that the center of the table was cut out and filled with water, and I casually set my camera down and accidentally ended up dunking it. My trusty boyf helped me to give it a rice bath when I got home, so my fingers are crossed that it will work again and I'll be able to retrieve all the photos I took of the evening. In the meantime, here is a look at what I wore to the event tonight, taken with my shoddy old digi from 2002. I don't wear these heels often, but I do love them, especially since I scored them for $50 at the Phi final sample sale. Lucky me!